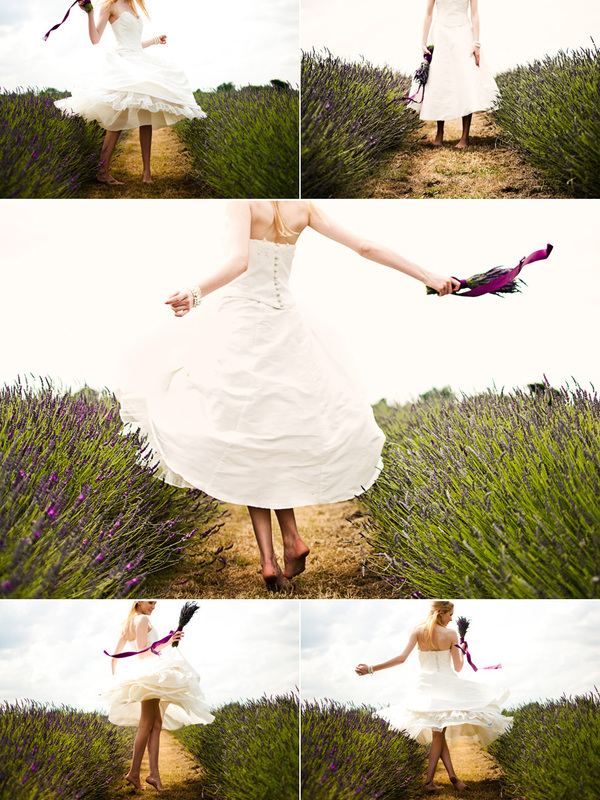 A hot and sunny July day saw me driving down to Surrey to meet some fellow wedding photographers who are also listed on the UK Wedding Photographer website at Mayfield Lavender for a day of shooting bridal portraits using some very talented models. Anyway, I digress, which wasn’t the purpose of this post – I wanted to share with you some of the images I shot. Firstly, we have the lovely Claire. Despite that demure start, Claire soon had lots of fun running around, twirling the skirts of the fantastic dress she was modelling. 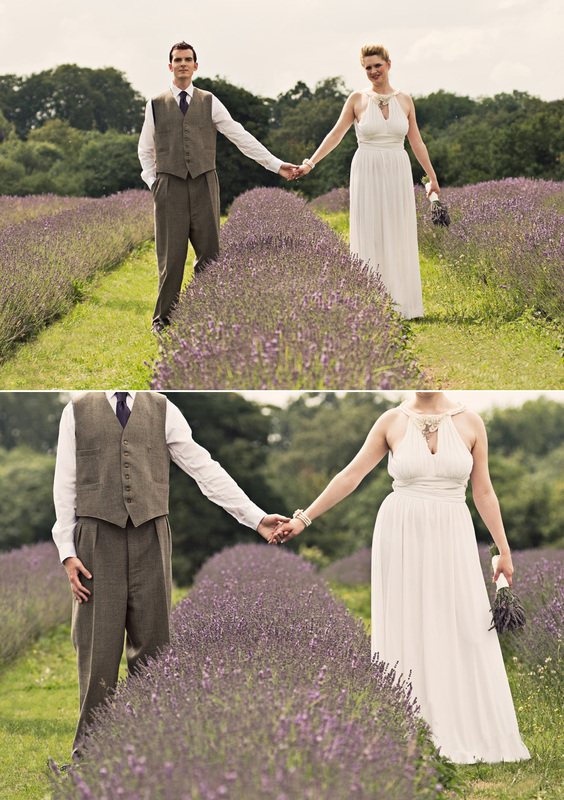 Time for a couple of B&W photographs- loosing the colour of the field really highlights the textures of the lavender and the wedding dress. We were fortunate in being joined by Scott as our sole ‘groom’ for the day – whilst bridal makeup was adjusted and hair arranged, I borrowed him for some quick portraits – grooms are just as important as brides and they often get overlooked in the hustle and bustle of an actual wedding. 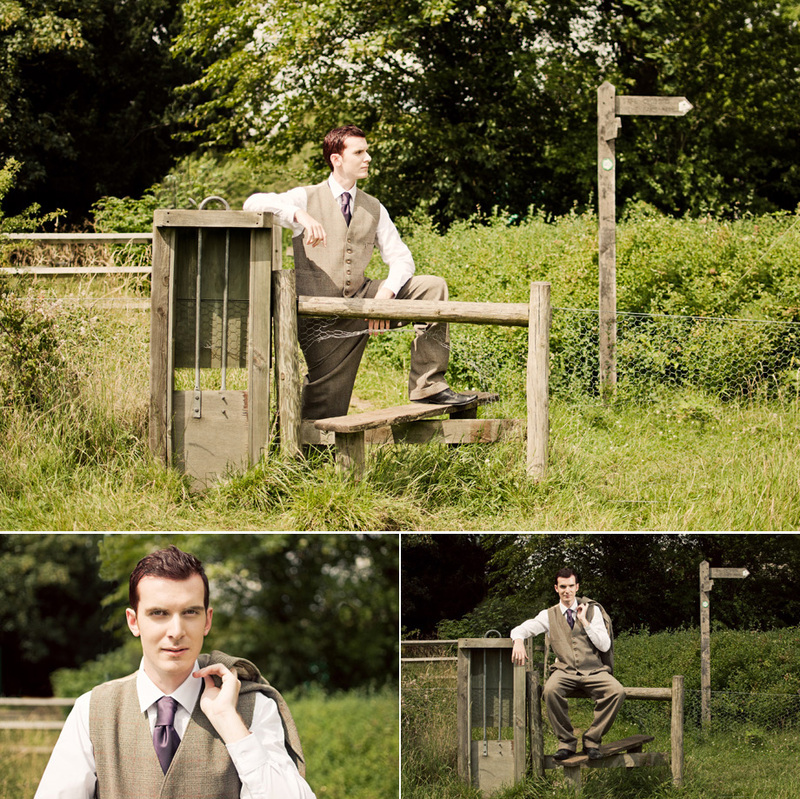 This was also a slightly nostalgic shoot for me as I had lent Scott the Harris Tweed suit that I used to wear at school whilst doing my A-Levels – sadly it doesnt fit me anymore (I must have had a late growth spurt!) but I think it looked really good on him and suited the slightly vintage feel of the following photographs. Hair and makeup adjusted, we were joined by another bridal model, Ellie for a few more shots. including in some much needed shade, providing relief from the scorching sun. I have to say a big thanks to our makeup team for the day who were the extremely talented Lakbinder & Karen – thank you both for your behind the scenes work to make our models look stunning. This was a pretty successful day, both photographically and also meeting and networking with like minded souls. I always enjoy networking with other wedding photographers – we chat, share stories, swap ideas, but days like this are especially important for us. Why? Shooting with other photographers and working on concepts and images allows us to build a rapport and trust which can be beneficial should we ever need to ask that individual to second shoot with us or to even step into our shoes if (God forbid) we were unable to shoot a couples big day due to serious illness or a dire emergency (knowing that in that dire situation you can say to a couple that you have a replacement that will fulfill their expectations is a little consolation and it is always good to be prepared). I always like to make sure my wedding couples know that I have thought of contingency plan should the worst happen.